Our whale watching cruise is truly exceptional vacation value for everyone. You’ll enjoy a full 3 hour cruise aboard our spacious 50ft well maintained whale watching vessel with plenty of all round seating accompanied by expert and informed commentary from our very own marine biologist Ms Nicky. Our highly experienced crew will ensure, not only will you see up close these magnificent and inquisitive animals at play in their natural environment, but also enjoy a fun, safe and memorable experience that will stay with you for a long time to come. Come experience our incredible Whale Watching tour from the picturesque southern Gold Coast. 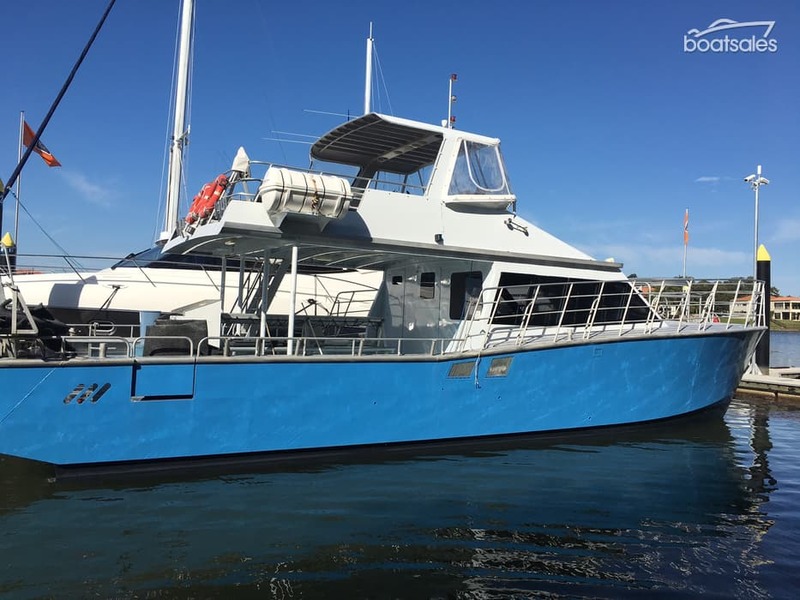 Meeting up at the Ivory Marina to board the Coolangatta Whale Watch vessel, we then only have a short 20 min boat ride until we are out on the open ocean and looking for whales. Since we are located so close to the whale highway we normally find whales within the first 30min of the trip, and being the only whale watching vessel operating from the southern Gold Coast you, our guest get to enjoy unobstructed views of this magnificent gentle giant of the ocean and our amazing coastline. Our experienced and friendly crew skippered by Captain Steve will make you feel welcome, comfortable and most importantly safe. We provide an informative and entertaining commentary of whale behavior, and are committed to providing you with a close encounter that will truly “BLOW YOU AWAY“! Boarding the vessel takes place at our private Jetty at 156 Wharf St Tweed Heads, which is only 5 minutes from down town Coolangatta. 100% guaranteed whale sighting on every cruise, or receive another ticket for another day! For group bookings of 10 or more please contact us direct for group discounting. Children are 3 – 13 years of age. Children under 2 years not recommended, but can be accommodated. Be at the boat 15 minutes prior to departure time as we always depart on time. For directions to boat, go to our Find Us page. What types of whales will I see, and will I see whales at all? The most common whales seen on our cruises are Humpback whales, however we have seen Southern Right whales, Minkes, Orcas, and Pilot Whales. The most entertaining is of course the beautiful Humpbacks, we seem them every day. Yes, you will see whales. How many depends on the day. WE GUARANTEE that you will see whales EVERY TIME! We have not missed sighting whales since 2006, and are proud of our reputation for providing the best whale watching experience on the entire Gold Coast. What other marine life will I see? We often see common dolphins; they may come straight up to the boat swimming under the bow. We often see bottle nose dolphins in the river, often even before we leave the jetty. As responsible whale watchers, we don’t approach within 100m of the whales. That doesn’t mean the whales can’t come to us, and they often do. Whales often display a measure of curiosity; they will dive for a few minutes and come up where you least expect them, close to the boat! Most of our close encounters happen during July through to end of September, when the water is calm and they are making their way south again. What happens if it rains or we encounter bad weather? Light rain is no problem, as we have undercover enclosed areas keeping you warm and protected. Bring a spray jacket if it looks like rain. In heavy rain and rough conditions, for your own safety we do not go to sea and we will re book you at your earliest convenience. What about motion sickness: Will it be rough? We must remember, we are out on the open ocean and it is always better to come prepared. Visit your chemist for sea sickness tablets/remedies. We recommend Travelcalm Originals or Kwells. We do not recommend Ginger. If you are still concerned, check with a pharmacist and remember to eat lightly before embarking. Yes, our vessel has full toilet facilities.